Car restoration is a great hobby to have and much of it you can do on your own. When it comes to certain things, however, there's a lot of equipment that is needed such as with sandblasting. It is a vital step in the restoration of your car’s body as well. When you need to get rid of that old terrible paint job from the previous owner or restore the color. As well even get rid of rust from neglect. We can help get you cars body looking brand new and ready for that awesome paint job and restore it to its former glory. You owe it to your car to have the body looking as good as the engine roars. No car restoration project is complete without some body work. If you are working from a car with already some paint or damage on it then sandblasting is what you need. We can even take care of fire or smoke damage to your car or truck. We can help get rid of the damage and even the smell. You owe it to your car or truck to have it looking its best no matter what. It should be a thing of pride, and this is the first thing many people will see, so a very necessary step in car restoration. 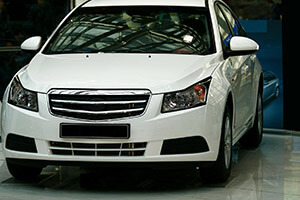 When you need to paint removal or rust removal from the body of your car, there is no better way than with sandblasting or other types of abrasive blasting techniques. So no matter if you are restoring a classic or just want a new paint job on your truck we can do it for you. We will removal old and worn out or ugly paint and prepare your car’s body for a great new paint job. Dealing with rust? We can also get that away, so it doesn’t cause more damage, and you can have your body panels fixed right up. Are you worrying that sandblasting will be too harsh on the more delicate areas of your car or trucks body? Well, you have nothing to fear because we have options available for you to make sure that there is not more damage to these areas. Sure some people will find it safe sandblasting. However, if you do worry we offer soda blasting which is just as effective but far more gentle on those weak areas. It is gentle on your more fragile areas and has the added bonus as a cleaner and deodorizer. So if there are areas with fire or smoke damage, it will clean it away like the fire never even happened. There are some parts of your car that a sandblaster needs to watch out for when working on paint or rust removal. Obviously, you don’t want damage to areas such as your windows as well as some more metal details to trim. We take care of these areas and keep them safe from sandblasting. You have no need to worry when your precious car parts are in our hands.